On December 11, 2018 in the building of the Chamber of Commerce and Industry of Turkmenistan there was an opening ceremony of the international scientific conference "The heritage of the Great Silk Road and present international relations" and the exhibition dedicated to the International Neutrality Day. The conference was attended by the deputies of the Mejlis, heads of the ministries and departments, diplomats of the Ministry of Foreign Affairs of Turkmenistan, heads and representatives of the embassies and international organizations working in Turkmenistan, heads of diplomatic missions of Turkmenistan abroad, teachers and students of higher educational institutions, representatives of public organizations and mass media. Kasymguly Babayev, Vice-Chairman of the Mejlis of Turkmenistan addressed the conference with an opening speech. Then, Deputy Chairman of the Cabinet of Ministers, Minister of Foreign Affairs of Turkmenistan read a Congratulatory message of President of Turkmenistan Gurbanguly Berdimuhamedov addressed to the participants of the international scientific conference “The Heritage of the Great Silk Road and present international relations” on International Neutrality Day. Rashid Khalikov, Assistant Secretary General of the UN for Humanitarian Cooperation in the Middle East and Central Asia, Aksoltan Ataeva, Permanent Representative of Turkmenistan to the UN, and Elena Panova, the UN Resident Coordinator in Turkmenistan also spoke at the conference. 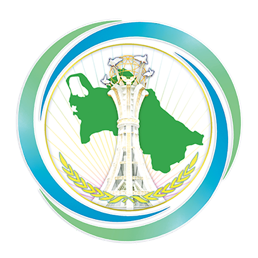 At the end of the scientific international conference “The Heritage of the Great Silk Road and Present International Relations”, the participants adopted an Address to the President of Turkmenistan Gurbanguly Berdimuhamedov.